Genders McLaren Park Wines (Genders) is what should be termed a micro winery (no more than 2000 cases of wine produced). It has 2 generations of history from the 1960’s where the current property was purchased in 1948 by Keith Genders and was a vigneron until 1968 where the first shed was erected to alow the wine to be produced. In the first shed Keith worked with Ron Potter (of the Potter Fermenter fame) to install the first stainless steel fermenter for the area. The experience from this first fermenter was used to make modifications to the next fermenters (and I suspect used towards the Potter Fermenter designs). It is also interesting to note that the grapes are not really crushed – more like de-stemmed and they have about 50% whole berries go into the ferments. 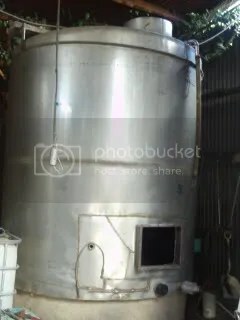 The winery has a relatively large number of small fermenters/vats that allow individual batches of wine to be produced and then back blended into the final wines to ensure quality can be achieved. Today the vineyards and winery is run by Diana Genders (Wagga Graduate with significant experience) who “came home” in 1997. 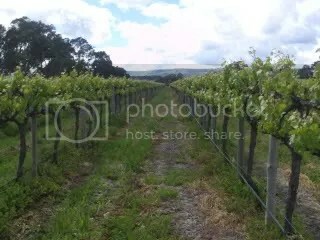 Pedler creek runs through the property and bisects the vineyard and delineating the 2 soil types. The vineyard has 2 main soil types – brown clay and Bay of Biscay (Black) both with underlying limestone (there are areas of limestone rocks evident at the surface). It also appears that the vineyard is subjected to lower temperatures than most of the McLaren Vale plains vineyards (not sure why, but I can attest that the adjoining footy oval was very cold during last winters Sunday mornings). All wines are only released when they are considered ready for consumption – not what the accountants would consider a good practice, but what a bonus for us the consumer! Lots and lots of peaches and white fleshed nectarines with cream. The oak is balanced and is an integral part of the enjoyment of the wine (not over done). There is some lees contact which helps to give a good mouth feel. AT 12&% alcohol also provides a balanced wine that is not hot on the finish. Enjoy, enjoy, enjoy!!!! The wine is a blend of separate small batches of wine that does not fit into any of the other red wines (see below) to produce a good every day drinking red. On the nose has plums, blackcurrant with the floral additions of violets. The palate has lots of plums & spice even a hint of candy apple on the finish. Good entry level wine that has good structure. This wine would be good at any BBQ. If you are bringing this wine please let me know so I can be there! The wine is a blend of 64% Shiraz (from the black soil vineyard) and 32% Cabernet Sauvignon from the Baby Cabernet block. The wine parcels were kept separate in the winery and in oak. Approximately 50% French and American oak of which a total of 24% was new oak. When ready for bottling the wines were blended for optimal balance and flavour profile. As for the next 2 wines I strongly suggest the wines are left open to breathe for at least 30 minutes. From opening there were earthy and herby overtones. Over the next hour the aromas changed to mushrooms with a perfume taint through to a licorice overtone. The palate is full of dusty tannins with the usual dark fruits. How about a wood fired meat based pizza or a grilled lamb chops with a creamy sweat potato mash. The wine is made from the 13 rows of Shiraz from the Brown Clay soils section of the property vineyard. The vines are from the Genders Clone, hand pruned to ensure low yields and are dry grown. The wine is aged for 2 years on approvimately 50% new American oak and 50% 1 or 2 year old French oak. Breathing this wine is a must – we let this sample breathe for about an hour and over this time the aromas of plums and blackberries with notes of vanillian oak characters that only intensified over the time. The plum and berries continued on the palate with hints of cumin and chocolate developing. This wine has alot of strength and character with any food matches needing to be the same. Think game (say venison), veal saltimbucca or Coq au Vin. This very small production is made in honour of Dianna’s late brother and as such is only made during exceptional vintages. The wines were aged in french oak for 2 years and now only released when the components of the wine were balanced to Diana’s approval. On the palate the wine shows red fruits (red currents) with fine dusty tannins that form an elegant infusion. The wine is drinking well now and has quite a few years left in it. This elegant wine yearns for roast duck or a few juicy slices of roast pork (and I would be nice by giving the crackling to my wife – but I get the wine). 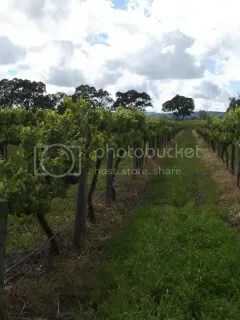 This entry was posted in Mclaren Vale, wine and tagged Cabernet, Chardonnay, Mclaren Vale, Shiraz, Small Producer, wine. Bookmark the permalink.